Michael Strahan is a former defensive end for the New York Giants. He is now a football analyst on Fox NFL Sunday and co-host on Live! with Kelly and Michael. He retired with 141.5 career sacks, 794 career tackles, 4 career interceptions, 21 forced fumbles and 2 career touchdowns in 200 games over a 15 year career and was also named to the Pro Bowl roster seven times. Sports Speakers 360 is a booking agent for pro athletes. 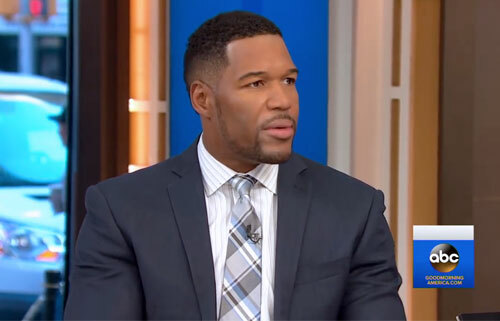 If you would like to book Michael Strahan for a speaking engagement, appearance or endorsement, contact a Michael Strahan booking agent for fees at 1.855.303.5450.